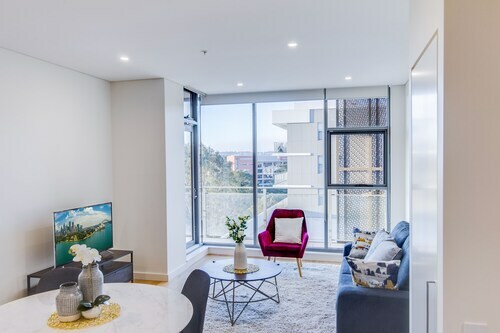 Situated in Macquarie Park, this apartment building is 0.4 mi (0.7 km) from Macquarie Shopping Centre and 0.9 mi (1.4 km) from Macquarie University. Top Ryde Shopping Center is 2.7 mi (4.4 km) away. Macquarie University Station is 6 minutes by foot. 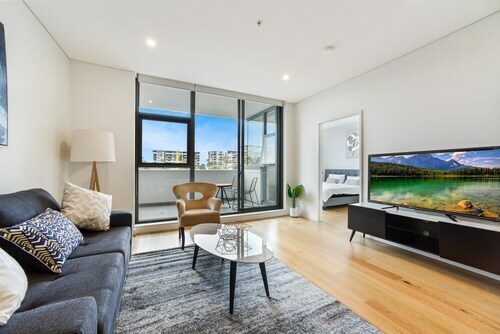 Situated in Macquarie Park, this apartment building is 0.6 mi (0.9 km) from Macquarie Shopping Centre and 0.8 mi (1.3 km) from Macquarie University. Top Ryde Shopping Center is 2.6 mi (4.2 km) away. Macquarie University Station is 9 minutes by foot and Macquarie Park Station is 25 minutes. 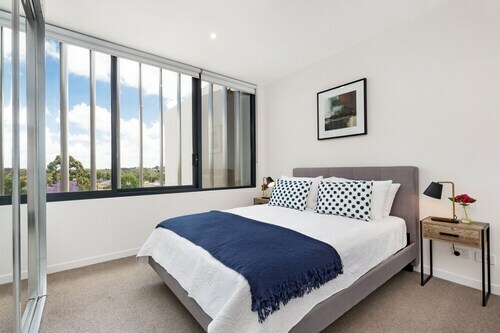 This property is great, as it is attached to a club so you don’t have to go anywhere else for dinner and the location is perfect for visiting me daughter doctor in Epping. They have just refurbished the rooms so they are all lovely and new. The room was beautiful and modern, the buffet breakfast has a huge variety of food. The staff were friendly and quick to help when needed. 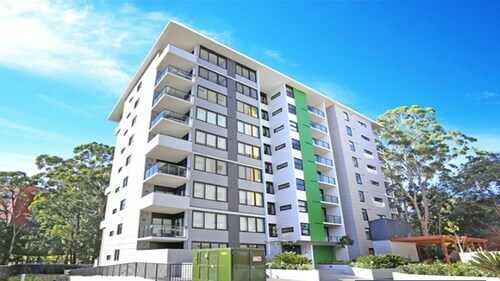 Situated in North Ryde, this apartment building is 1 mi (1.6 km) from Macquarie Shopping Centre and 1.2 mi (1.9 km) from Macquarie University. Top Ryde Shopping Center is 2.3 mi (3.7 km) away. Macquarie University Station is 18 minutes by foot and North Ryde Station is 30 minutes. 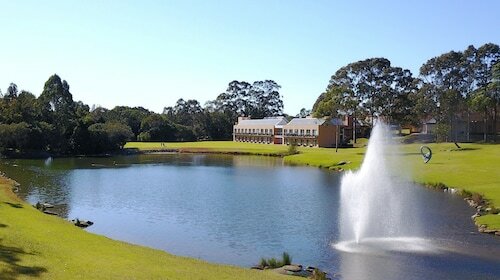 So you're thinking about going to Macquarie University? We're here to help! 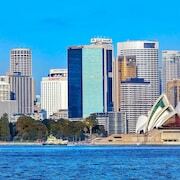 It sits surrounded by the bustle of Sydney, the state capital. You'll find plenty of things to do in this much-loved city. 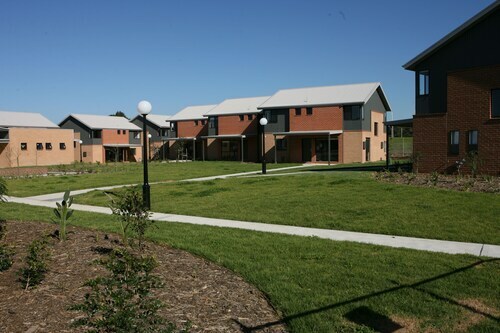 Looking to stay around Macquarie University? 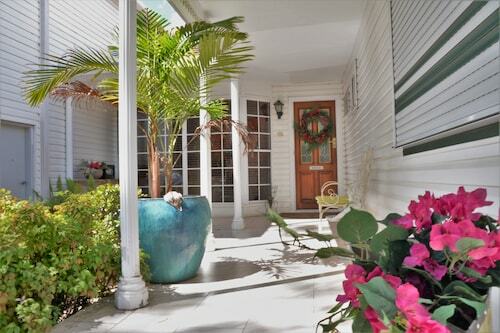 You'll be glad to know there are 8 accommodations within 3 kilometres. 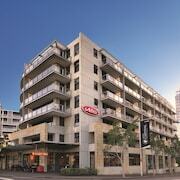 The Medina Serviced Apartments North Ryde Sydney is only a kilometre away. 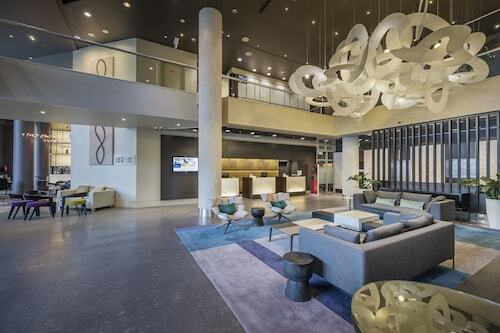 If you can't stay there, check out the facilities at the MGSM Executive Hotel & Conference Centre or the Courtyard by Marriott Sydney-North Ryde, 0.7 kilometres and 2 kilometres away, respectively. 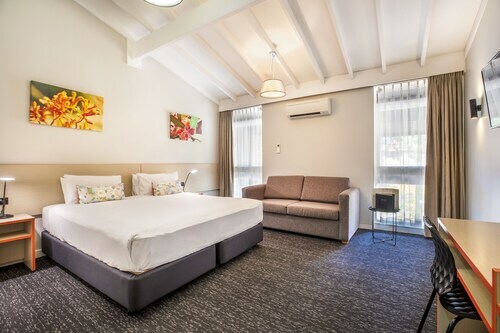 To make the most of every penny, stay the night at a budget place. 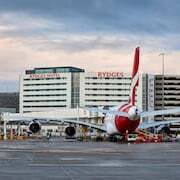 Why don't you check out the rates at the ibis budget Sydney Olympic Park and the Ingenia Holidays Sydney Hills? 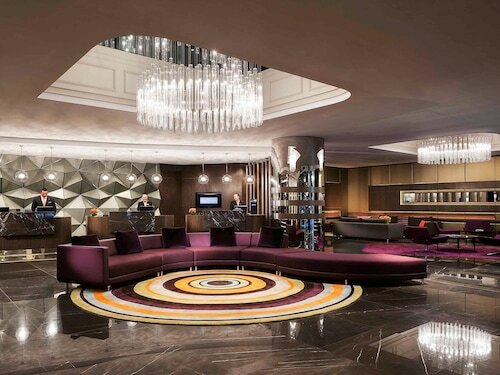 There is a variety of high-end hotels in the area. Why not loosen your purse strings and live a little? 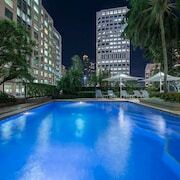 You can't get better than The Sebel Sydney Chatswood and Pullman at Sydney Olympic Park. Don't want to travel far for your morning coffee? Try out The Coffee Club Macquarie Centre. It's easy to get to from Macquarie University. 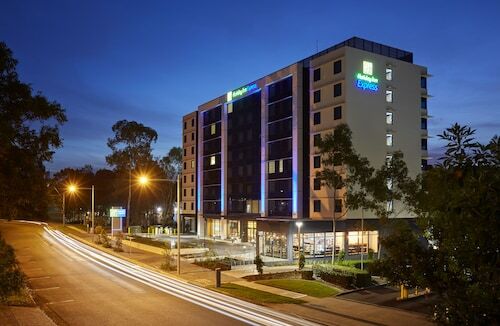 For something more filling, stop by Travelodge Hotel Macquarie North Ryde Sydney and grab a table. Built up a thirst yet? Go just nearby to The Ranch for a drink. Avid shoppers will love the thrill of a new purchase at Macquarie Shopping Centre. Show the locals your technique with a round of golf at The Royal Sydney Golf Course. Flee from the hustle and bustle with an excursion to Lane Cove National Park, where the natural environment will immediately refuel waning spirits. Teach your rivals how it's done with a game of golf at Killara Golf Club. Marian Street Theatre is the place to go for live theatre shows. Buy a ticket and take your seat! Wake up early, avoid the tourists and snag a seat on the train. When you get to Macquarie University Station, the closest station, it's only 0.7 kilometres to Macquarie University. 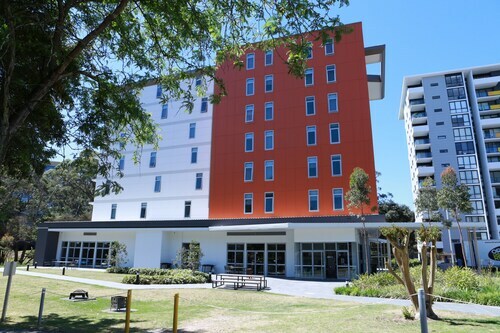 How Much is a Hotel Room in Macquarie University? 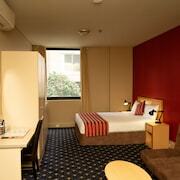 Hotels in Macquarie University start at AU$64 per night. Prices and availability subject to change. Additional terms may apply.